To get a taste of the surrounding countryside, head to the Domaine de La Burthe Park in the Floriac area and use it as an anchor point for some pleasant pastoral running. The park has numerous paths, some wooded, some open, going through playing fields and meadows. One can put together~3 km here. 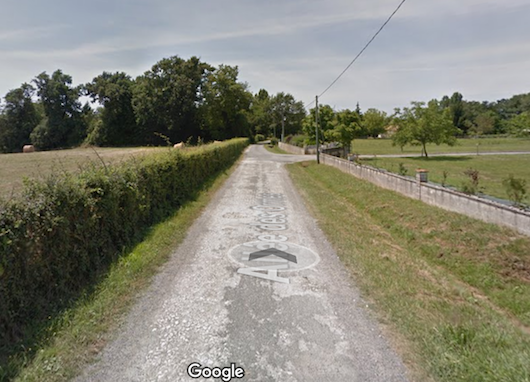 Then, cross over the N230 on a pedestrian overpass (Chemin de la Burthe), and enjoy some lovely running on quiet roads past farms and fields, in les Ormes and Château du Dragon. Our map provides a general overview of the area, but best to create your own route!